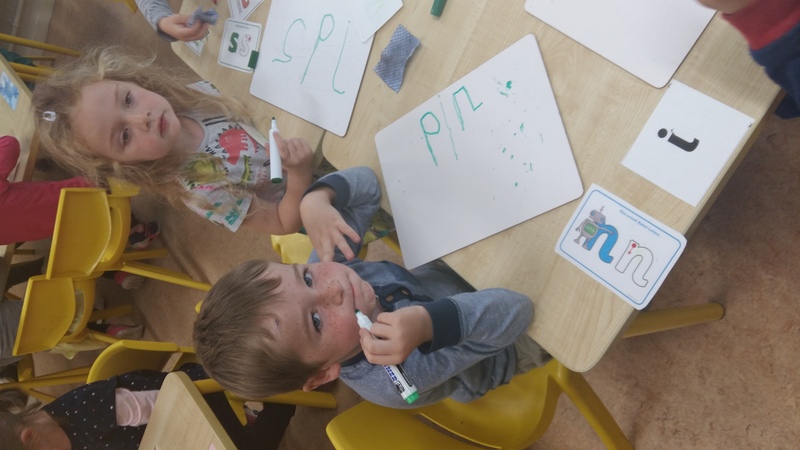 We have been practicing reading and writing our first two ‘Jolly Phonics’ groups this school term. 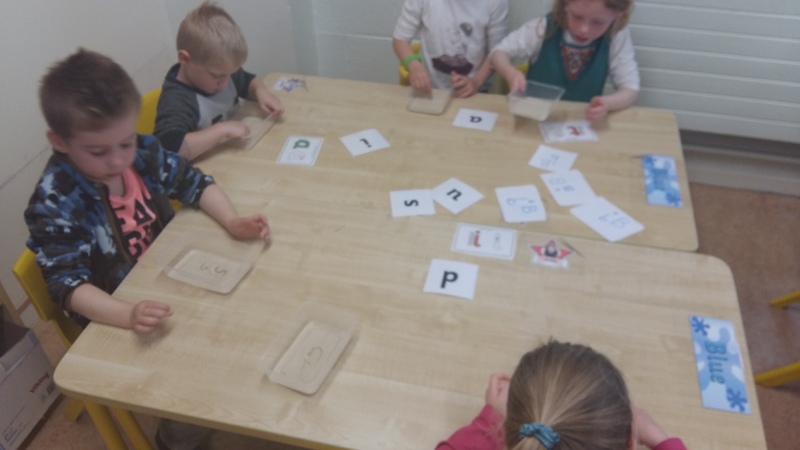 We are able to blend sounds together to help us read CVC words. 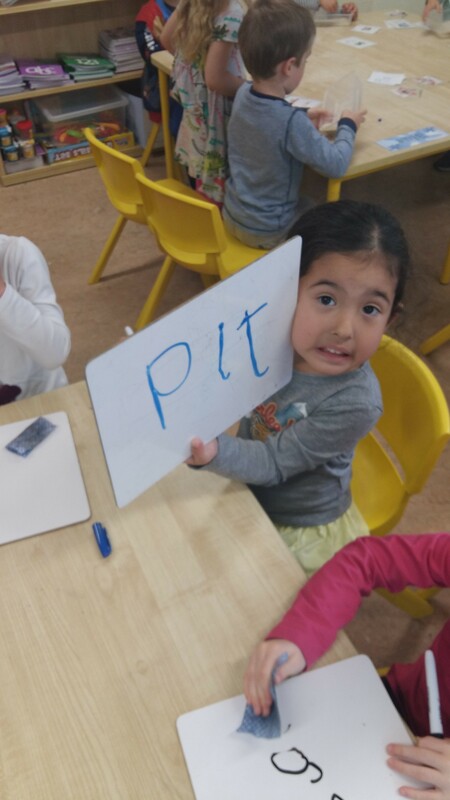 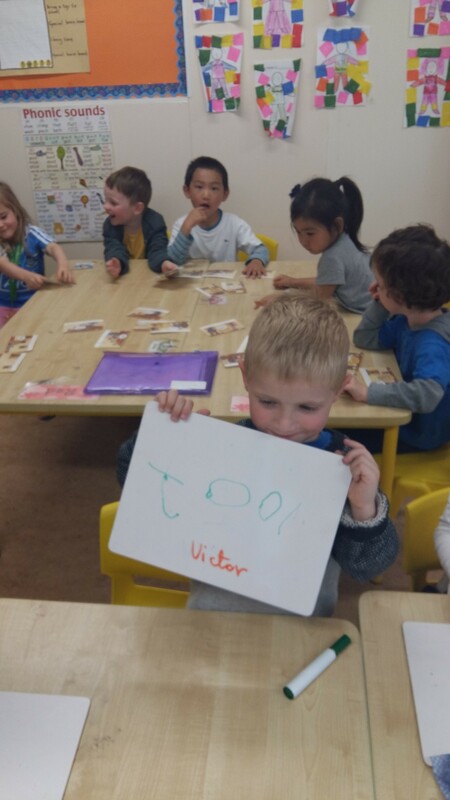 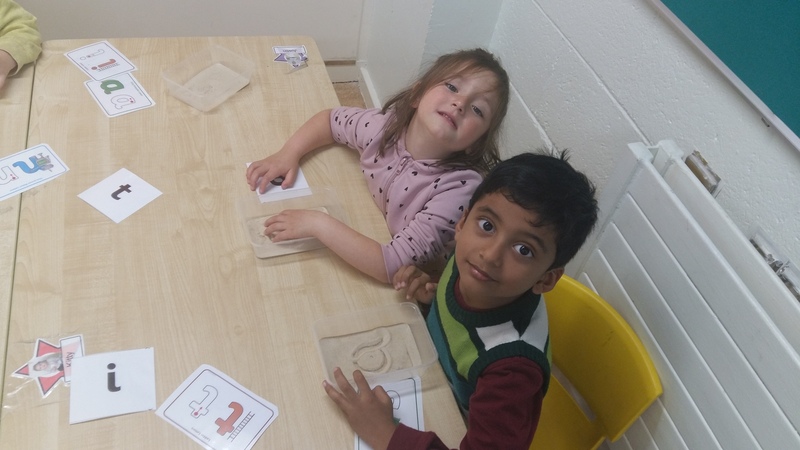 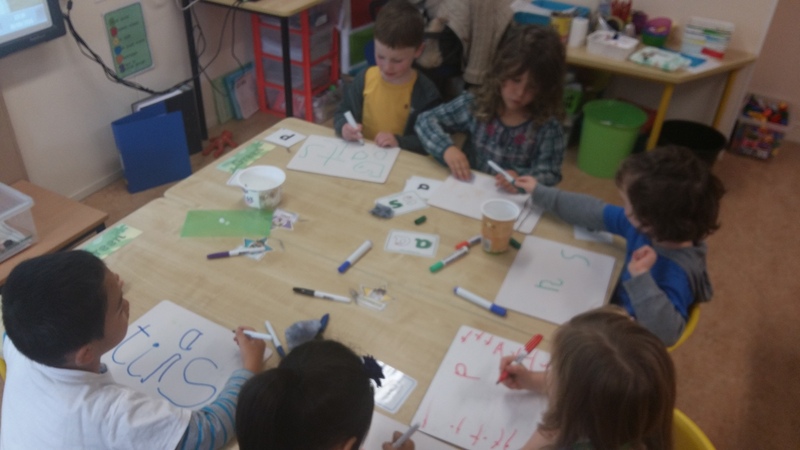 During our station work we made the letters with play dough, wrote letters on white boards, wrote them in sand and played a matching game to help us learn. 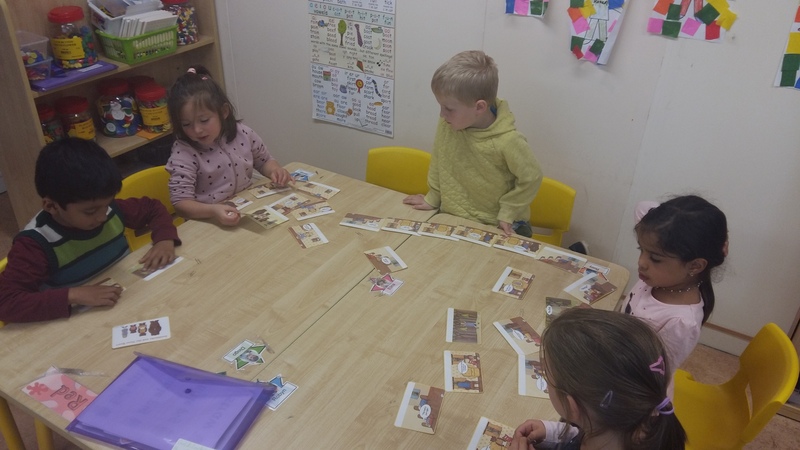 We have been exploring the story of Goldilocks and the Three Bears also. 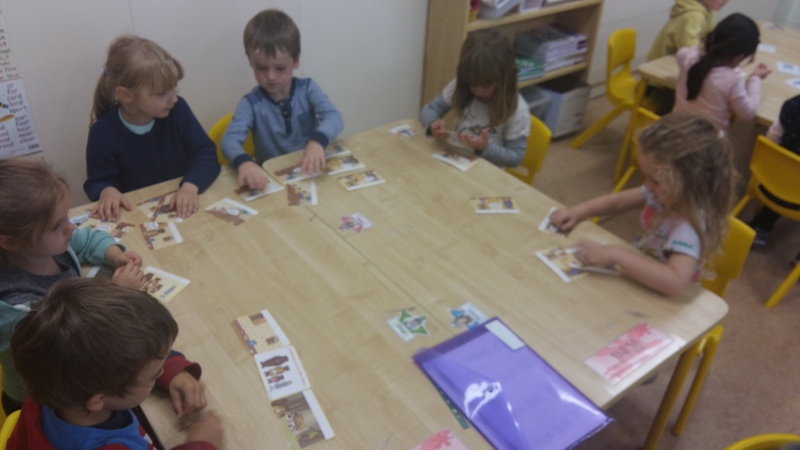 We have sequenced the story, acted it out with finger puppets, created scenes from the story with play dough and are preparing for our show in November.